I do apologize for my absence - I'm currently battling an upper respiratory infection, as is my whole family. Fun times! 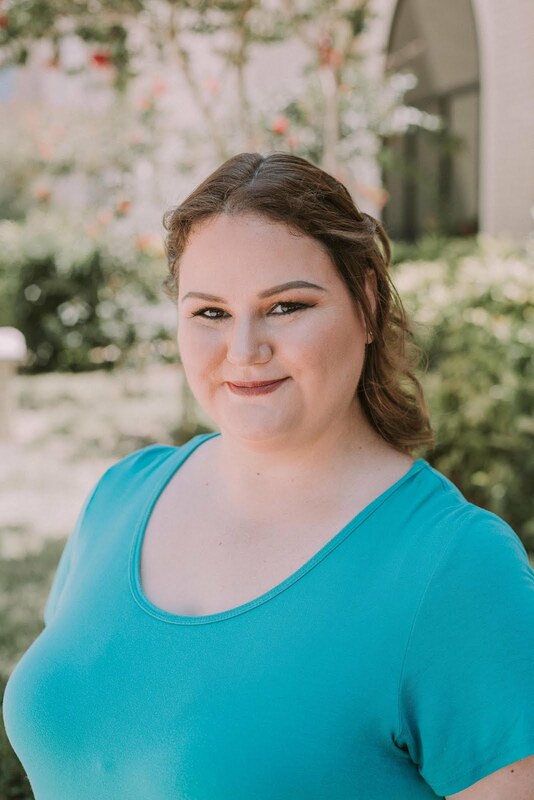 Please enjoy the following from ORLY! This is time sensitive - you have until October 5th! *PolishGalore is not sponsoring the following giveaway. 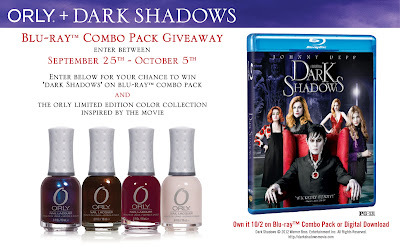 In conjunction with the DVD release of Tim Burton’s “Dark Shadows” ORLY will be giving away the Blu-Ray DVD and ORLY Dark Shadows inspired collection to three winners each day from Sept. 25 to Oct. 5. To enter, simply have to “like” the ORLY Facebook Page, then fill out the information on the Dark Shadows Blu-Ray Giveaway tab! Hope you and your family feel better!! Thank you for posting about the Giveaway. I think the movie Dark Shadows proves I'll watch just about ANYTHING with Johnny Depp in it... except Charlie & the Chocolate Factory. There is no Willie Wonka except Gene Wilder for me! Oh man me too - except I'll watch Charlie and the Chocolate Factory and pretend it's a whole new movie because he's definitely no Gene Wilder.